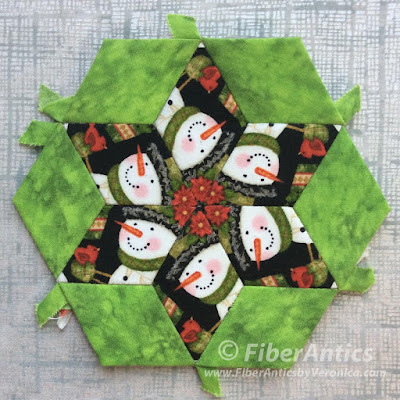 I am in awe of those EPP-ers [English paper piecers] who are tackling the 1-hexie-block-a-day in Katja Marek's and Paper Pieces' Glorious Hexagons quilt-along. They must have a stack of over 200 by now! For me, these 4 hexagons have joined the ranks of my GH collection for a total of 64. #5 Caroline (modified) with Splash spring and Eclipse jet. 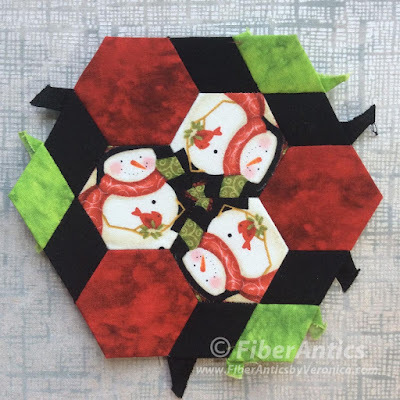 On a good note, I'm getting a lot of milage out of the snowmen print from Sharla Fultz's Winter Bliss collection... using the snowmen as the focal point and flushing out the blocks with blenders and a black solid. #35 Sharon with Splash spring. 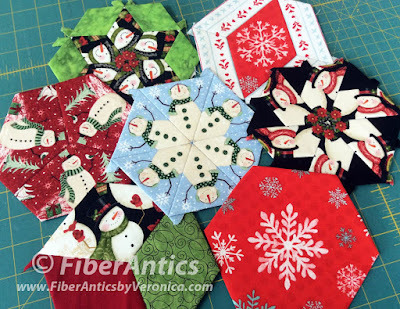 My winter and holiday themed hexagons are piling up. 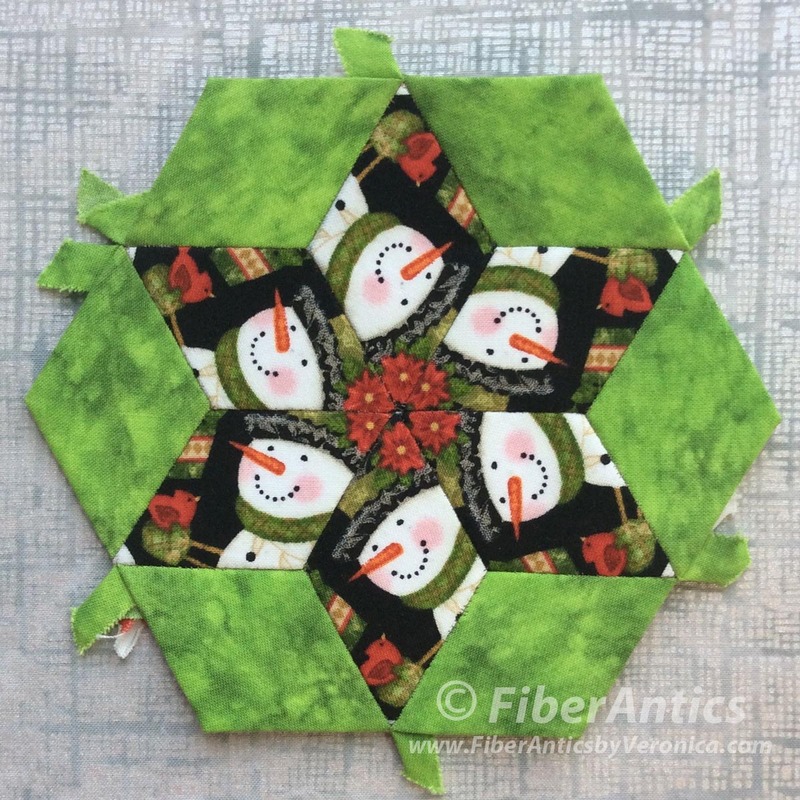 Perhaps an actual project is on the horizon—a runner or table topper? 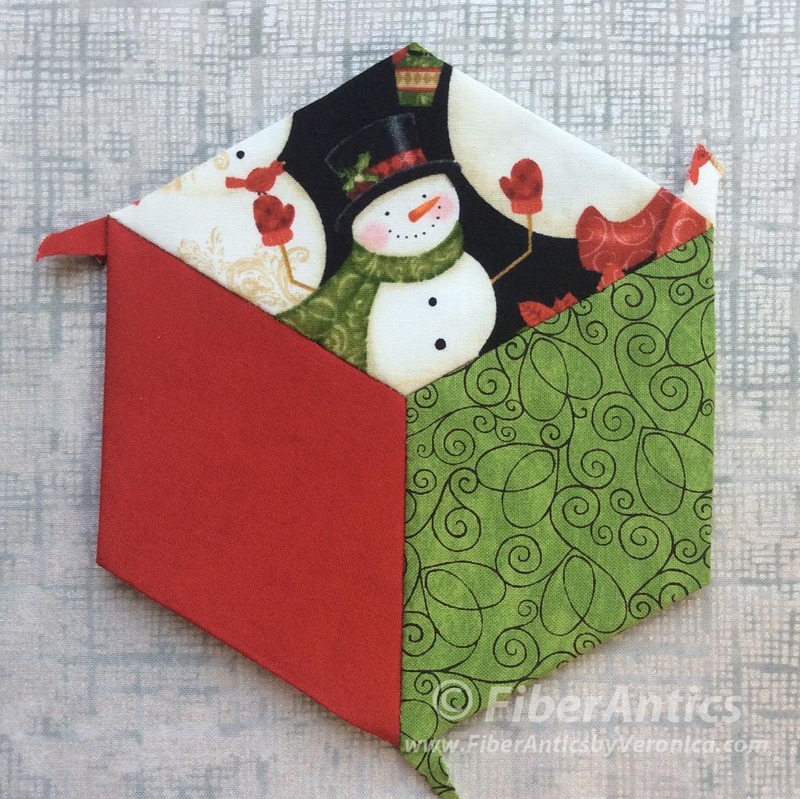 Pearl Grid (shown here) in light gray is a background option... cool, icy, sleek. 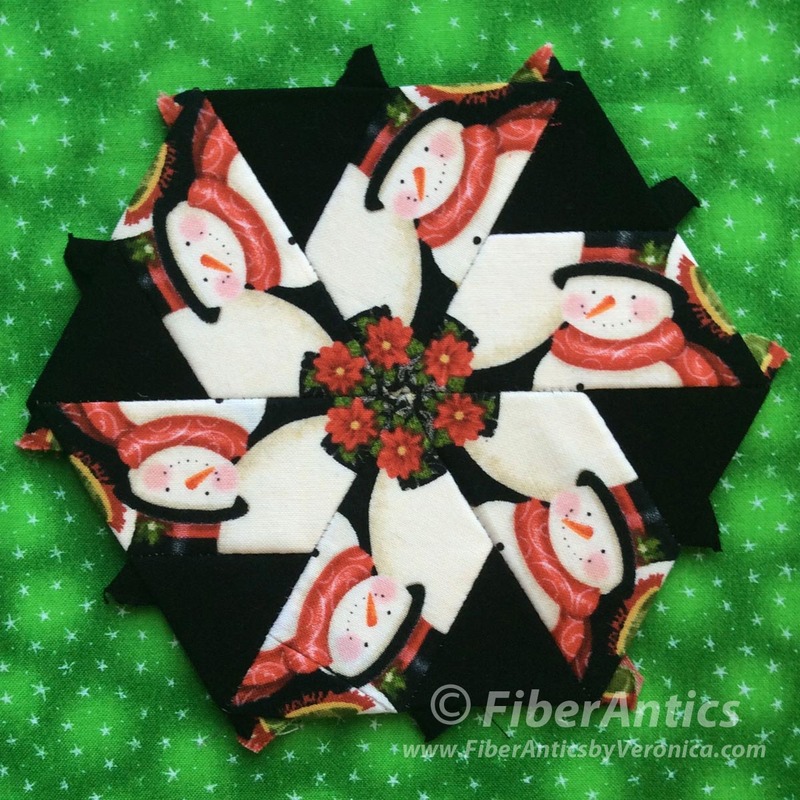 #6 Delores with Eclipse turkey red solid. However, the kelly green stars blender is another possibility... warm, cozy, familiar. #4 Lorraine with Eclipse jet. The New Hexagon book is getting a lot of use... as all good books should. What's one of your most-referenced quilting books? 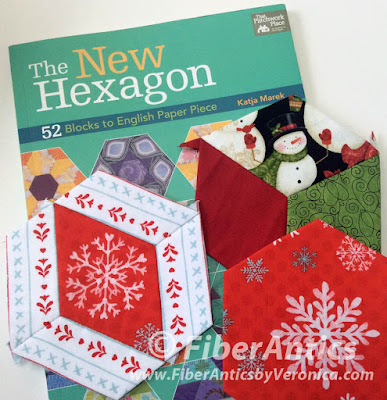 "The New Hexagon" by Katja Marek.